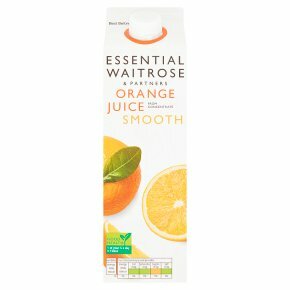 Smooth orange juice from concentrate, refreshing and 1 of your 5 a day. The fruit is squeezed at source and water evaporated to produce concentrated juice. The concentrated juice is then frozen and transported to its destination where it is rehydrated, pasteurised and packed before reaching the consumer.